« Where’s the ‘real’ Finish Line? When you are writing, focus on writing. When you publish, focus on publishing. She said this to address those pesky publishing concerns that cause writer’s block while you are in the midst of your creative milieux. Meaning: the self doubt that sneaks up on you and makes you question everything you are doing because, god forbid, what you are writing CANNOT POSSIBLY BE MARKETABLE (*gasp of horror*) SO YOU MIGHT AS WELL GIVE UP. I myself have struggled with the whole concept of ‘marketability’ and ‘worth’. When you devote so much of yourself to a project, of course you will occasionally wonder: what the heck am I doing this for? Is it worth it? On a personal and creative level, sure it’s worth it! The answer is an emphatic YES! But when you think about publishing (indie or traditional) and the idea of people (maybe even lots of them) reading your book (maybe even people you know), then I think it’s only human to wonder if they are going to like it or not. One star on Goodreads? Five stars? The truth is that once a book goes out into the world, the author is done with it. DONE. It leaves the realm of the author and enters the realm of the reader, who will interpret and judge it however they will, willy nilly. Out of my control. Not my concern. My job, as always, is to stand by my book. Stay with my writing. So to Natalie’s quote above, I would add this: when writing, focus on writing, and when publishing, focus on publishing…and when doing both, support your vision. Tweak as needed, consider advice wisely but ultimately, stand up for what is yours.I must remember this as I enter the Publishing Fray. I’m the one with the sales pitch. 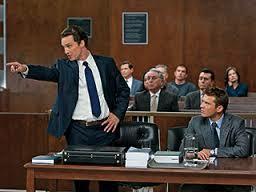 I’m the one who needs to argue in favour of my book like I’m some kind of hot shot courtroom lawyer. Nothing but the book, the whole book, so help me God! In a recent, delightful conversation with @lisa_donahue about writing and publishing, she said something that I intend to carry with me as I head forth into the ying-yang of query letters/rejection letters. That’s the name of the game! So, lift that hat up, girl! 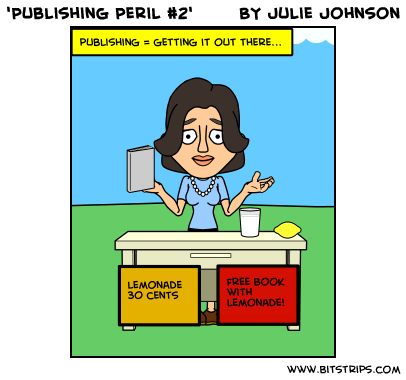 (see comic #1 above) and build that lemonade stand if you have to (see comic #2)! Believe in your book (product)–as you have believed in your book all along. PS. I made these comics originally back in 2010 but the ‘perils’ they depict still ring oh-so-true, so I’m using them again! Great post Julie! As we move through the writing process, we seem to take on different personas. I know that when I am at the initial stages of writing (the part that I sometimes call a “mind-dump”), I need time on my own with my writing. When I’m drafting a new manuscript I need time alone with my thoughts and words… and as you say ‘consider advice but, ultimately it’s mine”. I have been extremely fortunate to develop an amazingly strong relationship with both my editor and publisher. Once I hand the first draft over to them, I often start to think of it as ‘our book’. Maybe I’m blessed in having an editor and publisher who both allow my ‘vision’ to emerge through our work, but at this stage, it’s important to remember that we all have a vested interest in making the manuscript the best it can possibly be. My editor has been know to ask questions that result in me being frustrated, overwhelmed, and at times, needing some time to pout…but, because she is someone I trust implicitly, I value her advice. I know that ultimately, her goal is to help shape the manuscript so that it will have the best chance at success in the market place. So, as you venture into the next stage… yes, be bold, be confident because you have written a fabulous book! And I know that as soon as you meet your editor, you will be ready to allow someone else into your world of writing that you have held so close to your heart for so long.. because they will love it as much as you do. 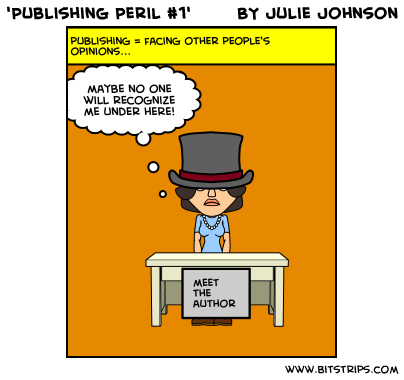 As a newbie to the publishing enterprise, I’m not sure what to expect from the experience. You hear so much negativity (i.e. : expect to get a million rejection letters, etc) and even the whole prospect of ‘selling your idea’ is, like any kind of job interview where you have to pitch yourself, kinda nerve wrecking! (and not really my forte). I’m trying to build up my courage & fortitude! I love hearing that a meeting of the minds with an editor/publisher is not only possible, but also possibly pleasurable! Thinking of this possibility, it doesn’t seem as scary. Thank you for showing what *might* be for me! You are an inspiration for wanna-be writers! You, my friend, are a writer! Lots of trials and tribulations on the way and we were able to read your blog and experience some of your ups and downs. Hoorah for the good guy! You did it! Ok, so the only tip I have is, “when you are writing, you are writing. And when you are publishing, you are only publishing. And while you do both, sip some wine and enjoy!” 🙂 Congrats for getting this far. Good luck with the rest of the process. The finished copy is not far away. Hoorah for Julie!!! Thanks, Annie! I appreciate the words of support. Writing can be such a lonely road (that takes place in one’s head, primarily). I’m so glad there is the internet/blogs/twitter/FB to foster connection and mutual inspiration! I love the recommendation to ‘enjoy’. I tend to worry a lot. But writing is ultimately a joyous process (I call it Writer’s Bliss). The rest will all work out in time. Thanks for the reminder! And thanks for dropping by! You might want to publish it yourself. The mainstream publishers are buying less, and paying less, than they were five years ago. They are likely to continue reducing payments, and buy less books, because the competition from Amazon and Smashwords (where you get 70% of the sales price on eBooks instead of 15% or less). A lot will also depend on how well your book fits a genre, because if they can’t pigeon hole the book from a marketing standpoint, it makes it harder for them to sell. Meantime, you’ve already won. Not many people manage to write a novel. Congratulations!